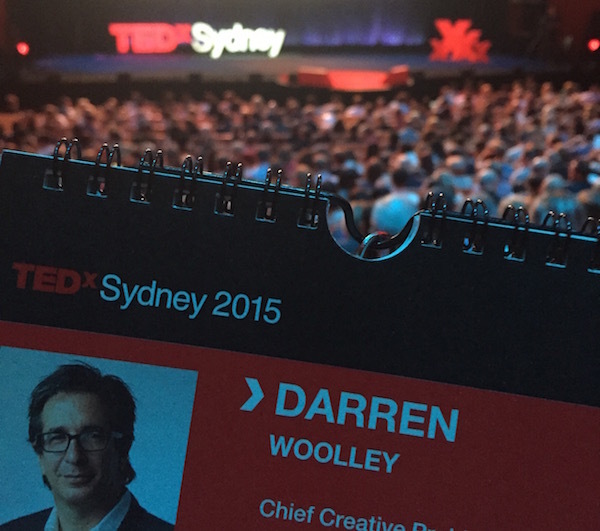 Did TEDx Sydney fail customer experience expectations? I attended a TEDx for the first time earlier this year and had high hopes of an amazing experience. For many years I have enjoyed and been informed by the many and varied talks on TED and was hoping that the live experience would be all of that and more. The fact is I left before half the day was over because either I had too high an expectation, which was not met, or the organisers were unable to translate the online experience to the live experience in a meaningful way. Let me explain, because this is increasingly the problem I have with many marketing and advertising industry events as well. Events are an opportunity for people to participate in the event. Beyond watching the content from previous talks online, I was hoping there would be opportunities to interact during the live event. Not just as entertainment but to be able to delve into the subject matter and interact with the speaker and presenters. Event organisers want to get a maximum number of people to participate to make the event economically viable and hopefully profitable. But this has seen events move to larger premises, such as the Sydney Opera House, which is designed for the audience to sit passively and watch the performance rather then interact with it. Large venues are increasingly using large screens on the site so that the audience can see the person on the stage. The other problem with large audiences is that it becomes incredibly intimidating for all but the outspoken few to stand up and ask a question or make a comment. In response to this many organisers have turned to technology such as a TEDx App we were encouraged to download but which required Wi-Fi or at least G3 connectivity, both unavailable in the venue. Another tech solution that fails every time is sending questions by SMS, which only works for local phone accounts, meaning that overseas visitors cannot text their questions. A better approach is to have the big keynote speakers in a venue like this but to then have streams of smaller events at the location, much like Mumbrella360, Amplify or AdTech. Of course this requires the event organisers to organise and manage a more complex logistic, but the benefit to the audience is greater intimacy and participating in the live experience. Event organisers have realised the potential for reaching a greater audience outside of the live event using webcasting or video streaming. Plus this is recorded and becomes the content for their on-going content marketing efforts for the next event. But it means that the audience at the live event become performers in the virtual experience and in fact are required to provide the virtual experience with the energy of the live audience. Where it fails is when the virtual experience is better than the live experience. On the day I was at TEDx struggling with the lack of Wi-Fi and internet connection to use my TEDx App, and having to line up in long queues only to get a portion of food at the break end, I returned to the auditorium where I was sitting behind a couple who gave each other a running commentary on the content – a friend in Perth had an amazing TEDx experience in his lounge room. 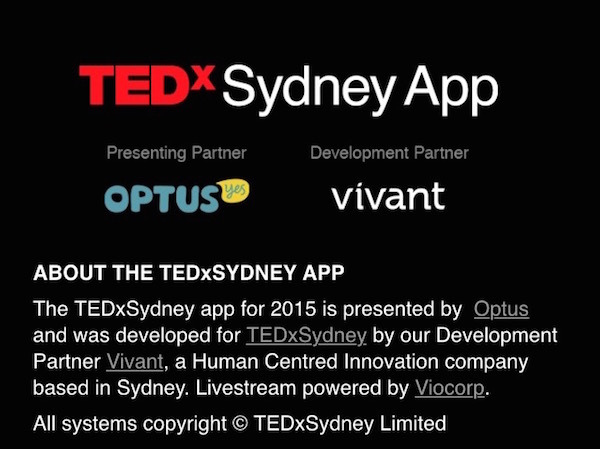 He was streaming the event live onto his big screen LCD television via Telstra and had a virtual front row seat where he could participate using the TEDx App and all the food and drink he could find in his kitchen. Event organisers have heard of social media and social networking and know the power of it to promote their event prior, during and post. This is why increasingly there are #hashtags provided to the audience so that they will hopefully trend on Twitter during the event. And while the content created by the presentations on the day will be available in the days and weeks to come for everyone to view, there is nothing like being live at the event and sharing that insight, or quote, or photo of what is happening in real time. Sure, some people are happy to just go and be entertained, but increasingly the experience of the event is social. Not just at the venue live, but with all of your friends, connections, followers and the like on social media. The problem is that social media requires connection to the internet. Time and time again events have failed in not providing suitable internet / Wi-Fi access. 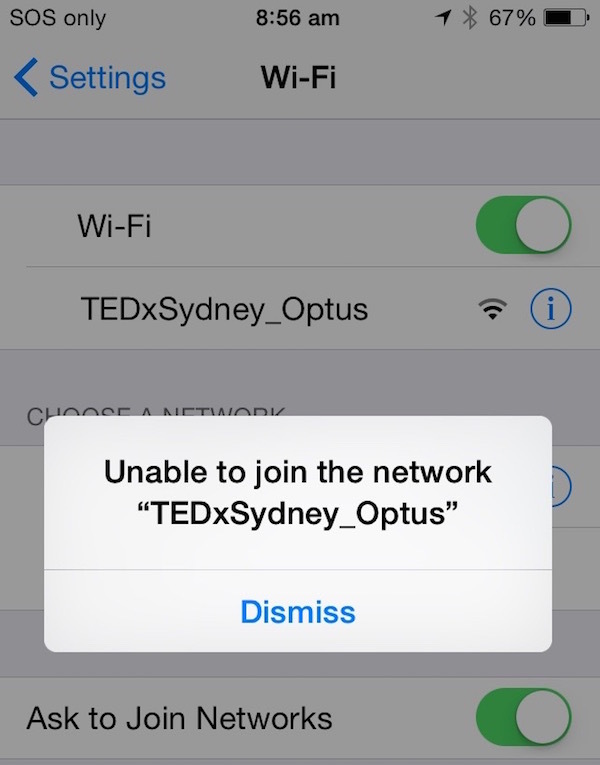 In the case of the Sydney Opera House, there was very poor Wi-Fi, apparently provided by the sponsor Optus (not good for a Telco sponsor), and very poor 3G coverage in the venue. Both of these meant that the audience participation through social media was limited. I approached a number of event officials on the day and was told that it has been a problem from the time they moved from the Carriage Works to the Sydney Opera House, as if this was an excuse. If it was a problem in previous years why was it not addressed? The irony is that apparently back stage they had terrific Wi-Fi coverage. But for the audience it meant you could not participate and not share. Yet many other events get the technology right including the ones mentioned earlier, Mumbrella360 and Amplify especially. When is the next event or conference? Don’t get me wrong, I think events and conferences are a terrific way to engage an audience. But for the event organisers responsible for planning these, make sure you consider all aspects of the experience. What is the added dimension of the live experience that makes that experience exceptional and how can you enhance it. What is the virtual experience for those at the event and those participating elsewhere and how can you enhance this. And finally, what is the social experience; both for those at the event and those elsewhere and how can you enhance this. My TEDx experience was disappointing, but if these three things were taken into account and addressed then they would be creating an experience that rivals many of the others currently on offering. Is digital, data, and technology advice keeping you awake at night?